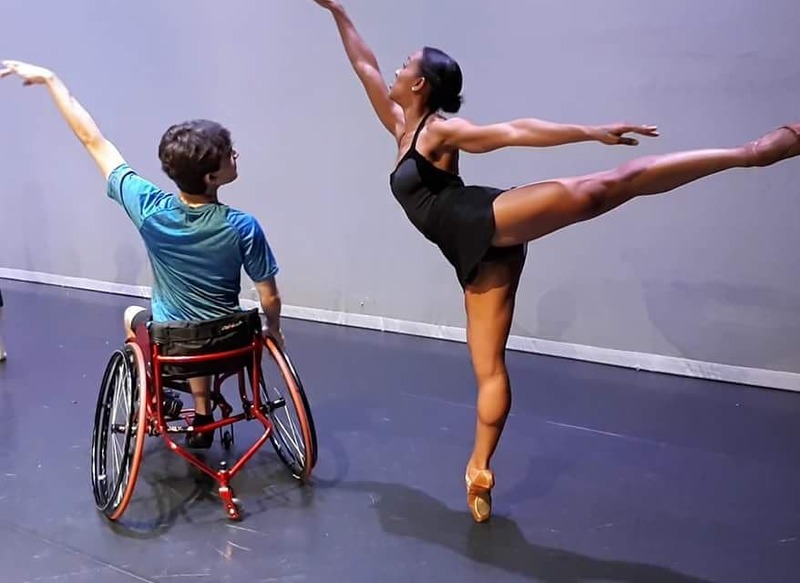 We have an amazingly inspirational dancer on Ballet Cymru’s Wales International Ballet Summer School this year called Joseph Isaac Powell-Main. He began dancing at 4 and started ballet classes at 5 years old. At 8, he was a junior associate with the Royal Ballet and joined the Royal Ballet Lower School at 11. He stayed fours years but was injured and had a knee operation at the age of 14 and had to leave the school. He didn’t dance for a couple of years as he had complications after surgery and was involved in a serious car accident. Joseph found wheelchair dancing and started to compete in ballroom and latin competitions. He is currently the UK National Para Dance Champion in solo and duo Freestyle! He recently performed at Sadler’s Wells in London as part of the first UK inclusive Latin and Ballroom Showcase. He completed his first year of training at Arden School of Theatre. Here is a clip of him dancing the Giselle Pas de Deux with company dancer Krystal Lowe.